I came across this website recently and it seems that haikus…or rather parenting haikus…are a trend! Who knew that poetry could be trendy? 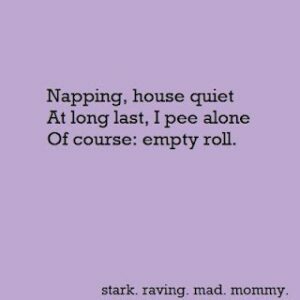 Now, you ask, what exactly is a parenting haiku? I am sure you all remember the five, seven, five syllable pattern. And the topic of these poems are those little mother moments. Here is a great example from Stark Raving Mad Mommy. And here are two that I have come up with. I personally prefer limericks but I also have a soft spot for a good haiku. 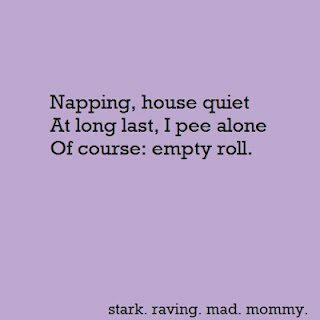 Do you want to try your hand at a parenting haiku? I would love to hear what you come up with!